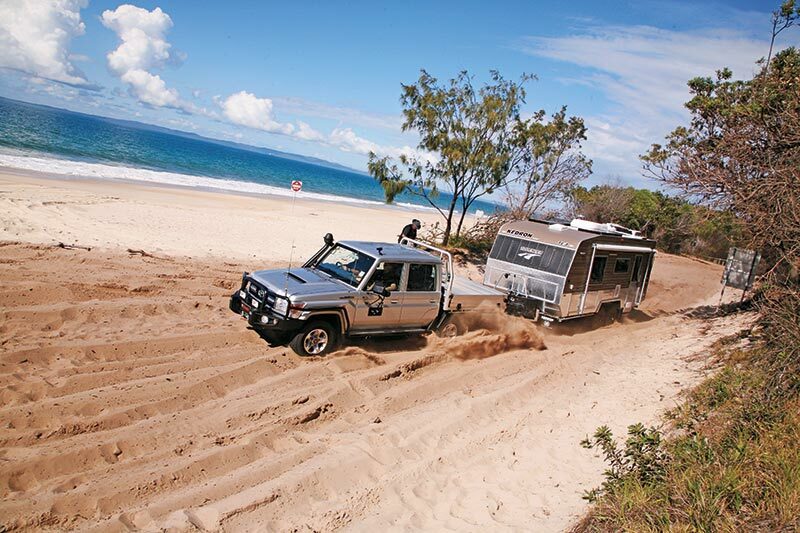 The Kedron Top Ender 3 is built to handle the rough stuff, not only beach/sand driving but rough bush tracks, as well. 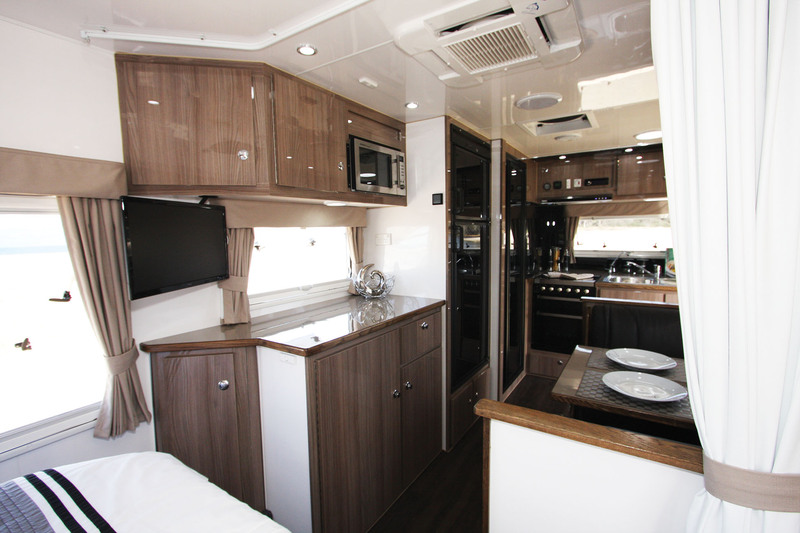 Like all Kedron vans, the Top Ender has aluminium-framed and clad bodywork, and is built on a hot-dipped galvanised chassis. Although the drawbar has 150x50mm (6x2in) rails, the actual chassis has tandem 100x50mm (4x2in) rails running the full length of the van and there are protection bars along the forward half of the van. 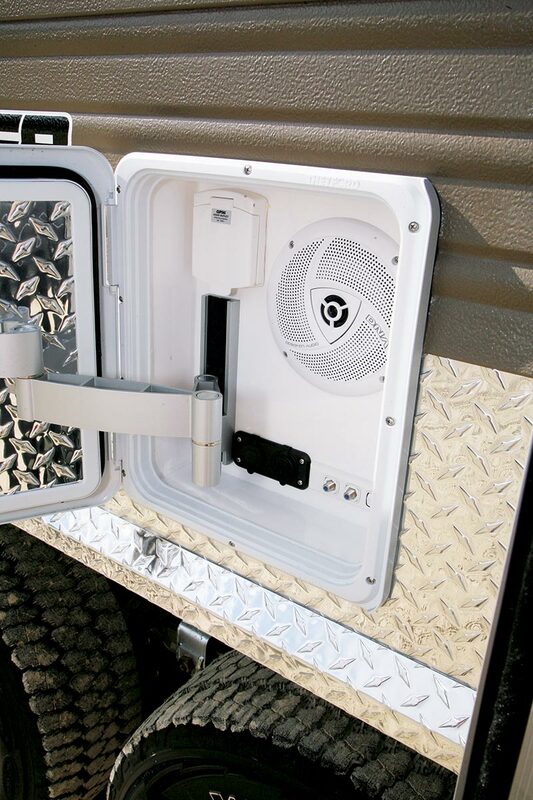 External storage consists of a front boot and a three-quarter tunnel boot. The other end of the tunnel boot can hold a slide-out generator. Together with the mesh racks front and back, there’s plenty of external storage capacity – very useful for serious offroad work, as there’s plenty of spots to keep your recovery gear. 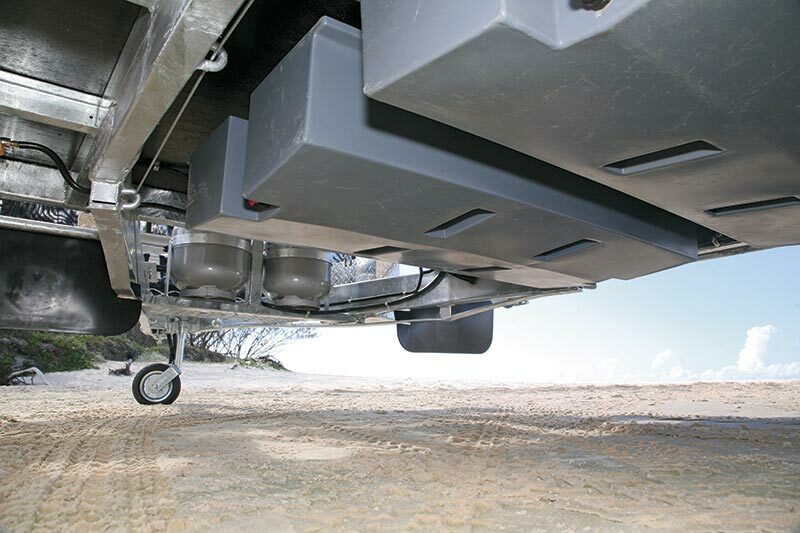 Designed to Kedron requirements, the independent suspension has leaf springs, trailing arms and one shock absorber per wheel. The brakes are 12in and designed with flush plugs in case they get wet during creek crossings. Three polyethylene 100L water tanks are fitted between the chassis rails, two forward of the axles and one behind. In addition to the gas cylinders, mesh rack and other usual items on the extended drawbar, there are two jerry can holders, optional Fiamma bike rack, a mesh stone protector, and a McHitch coupling, which provides a good deal of articulation. 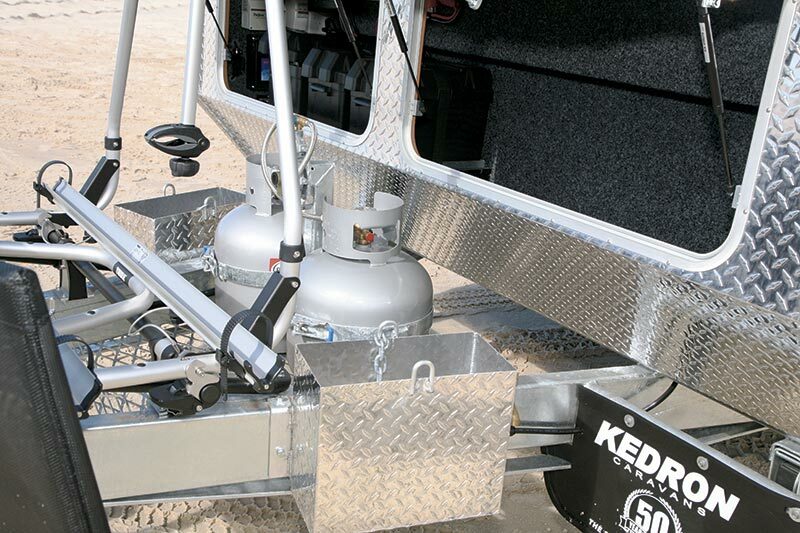 Spare wheels for offroad caravans are often mounted on the rear bumper bar but, in a recent development for Kedron, they are now mounted on a rear rack that is partly recessed into the body. 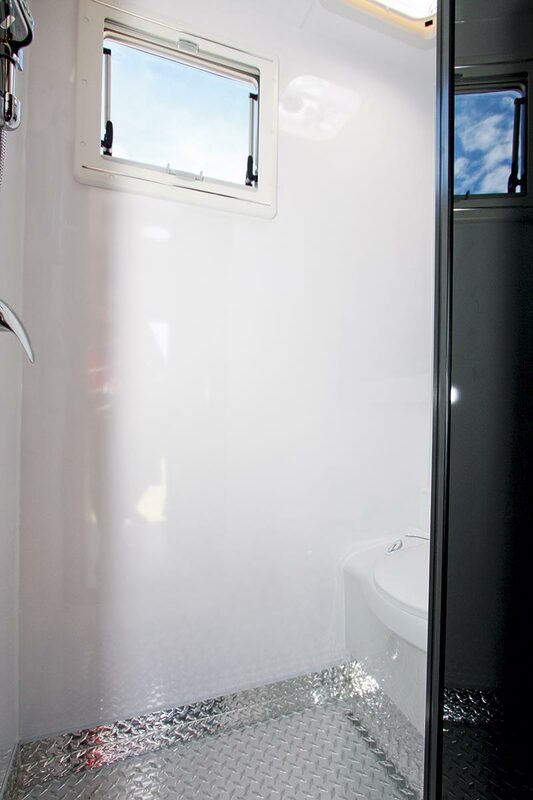 Kedron has detoured from the standard front-bedroom/rear-bathroom layout that many manufacturers use these days. 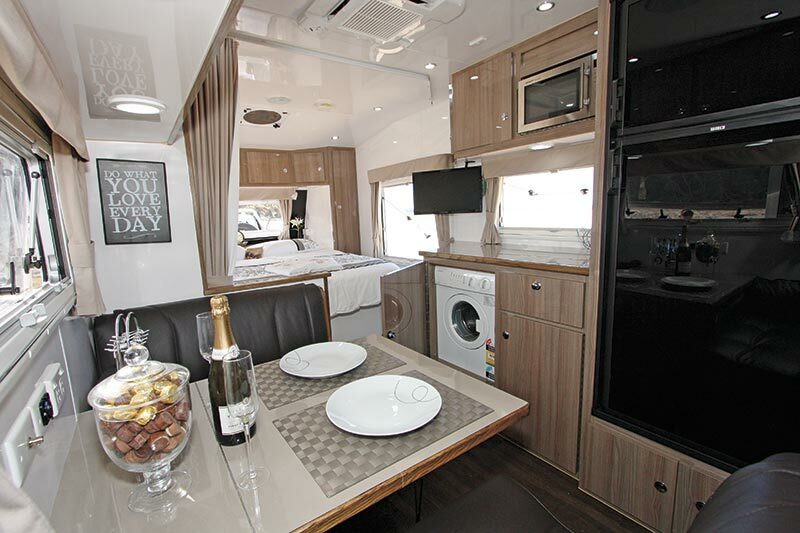 The Top Ender still has an island bed up front and a café-style dinette on the nearside but, instead of a full-width rear bathroom, Kedron has opted for a small bathroom cubicle in the offside corner and a split kitchen bench that runs along both the offside and rear walls. While this arrangement means a smaller, but still very usable, bathroom, it also results in a larger-than-normal kitchen. 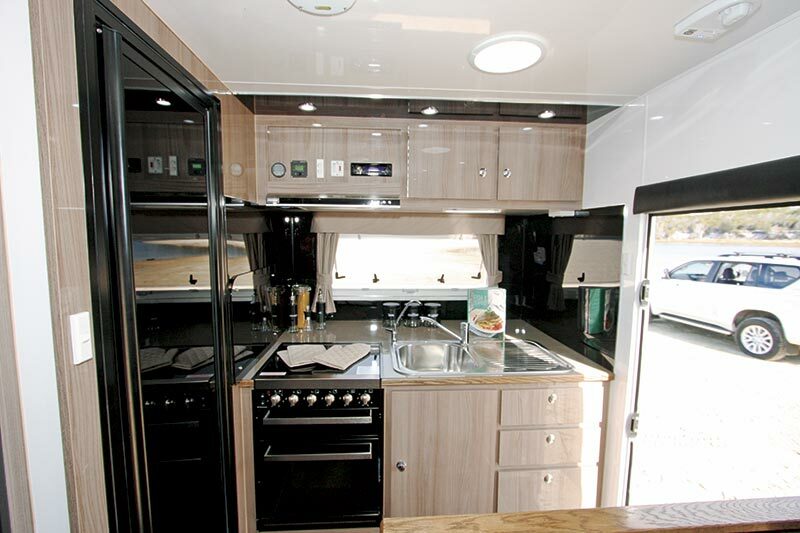 The kitchen has all the usual essentials – four-burner cooktop and stainless steel sink across the rear wall, while the microwave and the 215L Waeco fridge are fitted into the offside cabinetry. 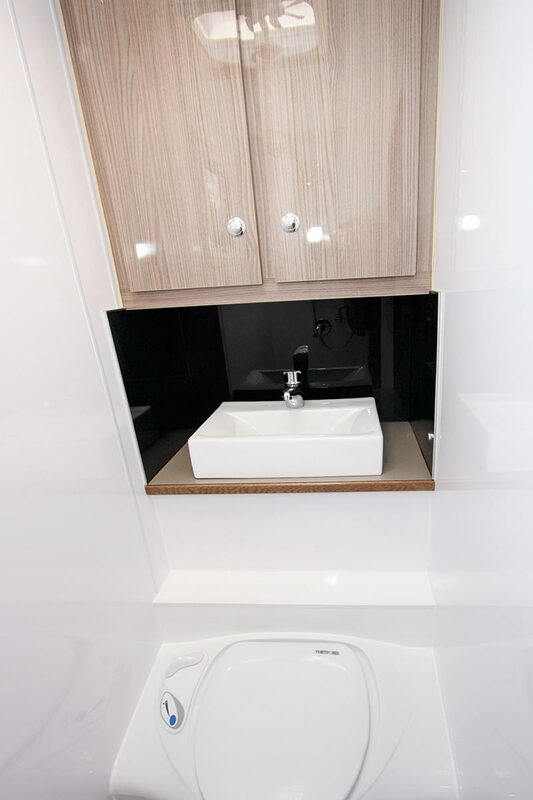 Above the offside bench, the lockers are deeper than usual, offering not only more storage space but ensuring the microwave is set at a more user-friendly height. 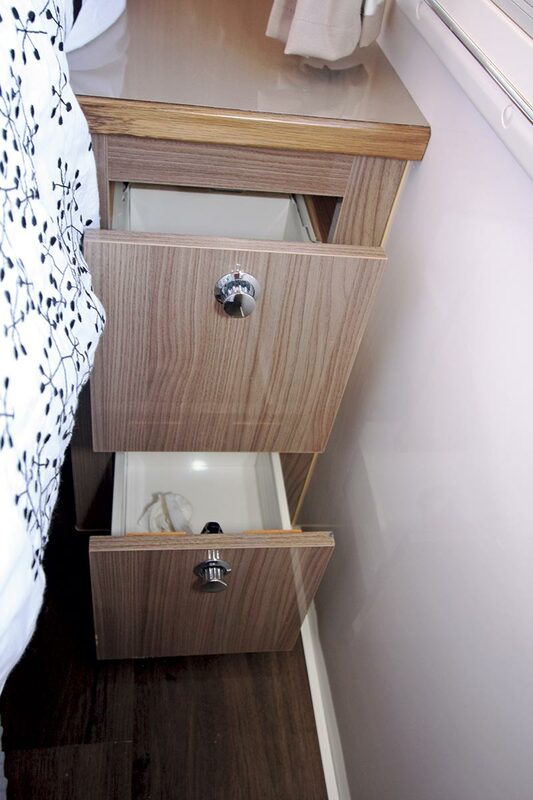 One of the benefits of the split kitchen is that there is more general storage in the form of drawers, cupboards and overhead lockers. This is slightly offset, though, by the front-loading washing machine that occupies part of the under-bench area, rather than taking up space in the bathroom. A fish and chip shop on the beach! There is no doubt that the Kedron Top Ender 3 is designed with the keen offroad traveller in mind. 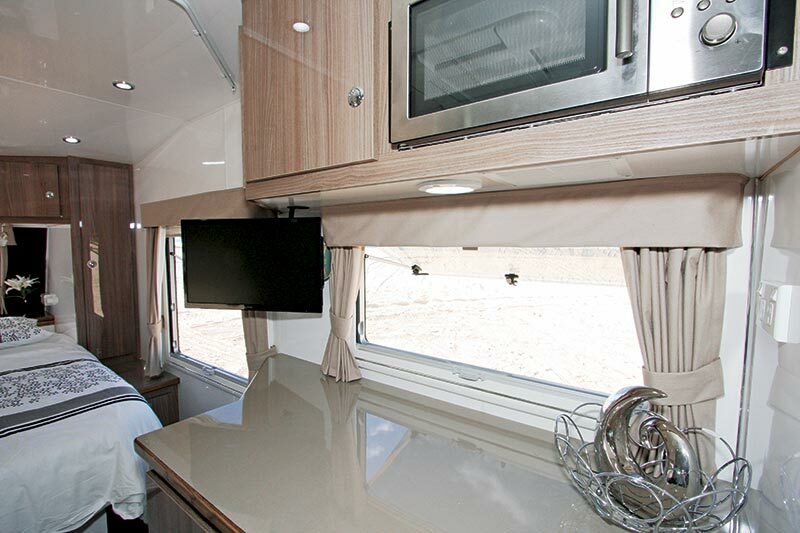 It’s certainly not a cheap caravan, nor is the required tow vehicle, but it’s one that is built for tough, offroad conditions and serious touring off the beaten track. Additionally, the Top Ender 3 will allow you to travel in great style and comfort. 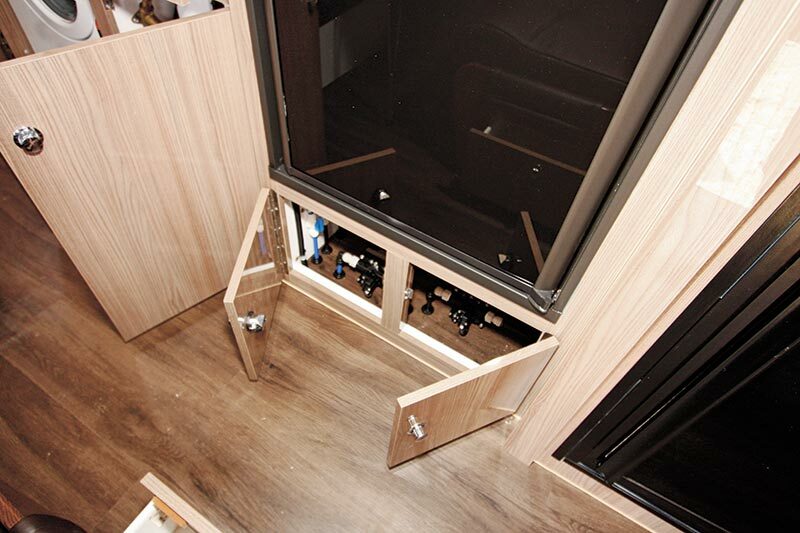 The full test appeared in Caravan World #532, December 2014. 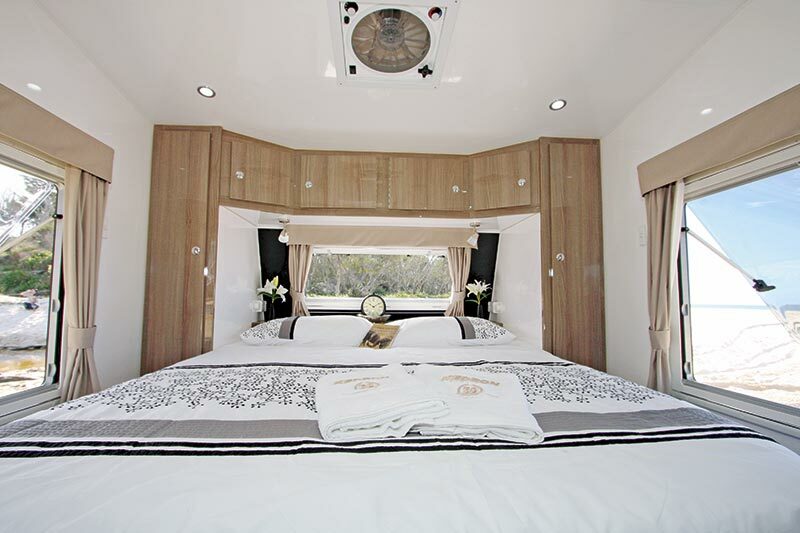 Subscribe today for the latest caravan reviews and news every month!